What is the purpose of the classic trolley? 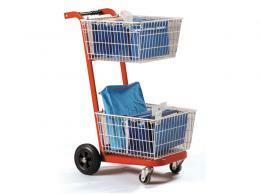 This classic trolley from The Workplace Depot makes delivering and distributing mail so much easier. The postal trolley has been designed specially to help deliver parcels, letters, files and folders and the mesh compartment baskets are suitable for holding the weight of a typical load of mail. 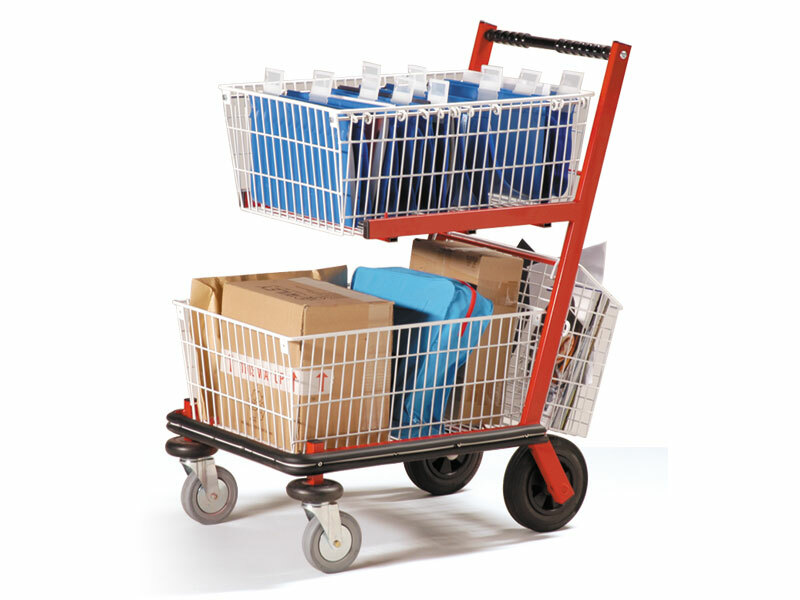 The Workplace Depot stocks a wide range of trollies for a variety of uses. This classic trolley has two heavy duty wheels and castors and can hold a maximum capacity of 90kg. 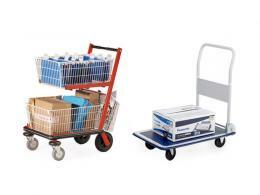 Offices, factories, warehouses and anywhere with a mailroom will make use of this trolley. Even larger chain stores where mail needs to be delivered to different departments will find this a handy addition to their inventory. The classic trolley will come in handy for anyone who needs to whizz around delivering and distributing mail and packages, be it in an office, school, mall or larger commercial buildings. Order a classic trolley from The Workplace Depot today and get free delivery in 5 – 7 working days along with a one-year warranty on parts and labour. The classic mail trollies can stand either a 40kg or 90kg load capacity and are recommended for internal use only. The classic trolley comes standard with two removable baskets and concertina filing packs are available separately from our online store. 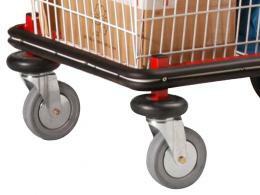 The classic trolley is red and has white baskets and two heavy duty wheels as well as two castors. The Workplace Depot offers a Price Match Promise. For your convenience, we accept payment via MasterCard, Maestro, Visa and PayPal. If you have any queries, please contact our sales team. Alternatively, select your quantity for the classic trolley and head to check out!